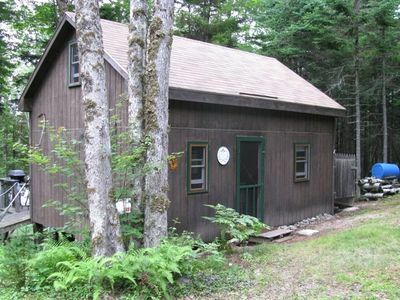 3BR East Machias Cabin with w/Hot Tub! 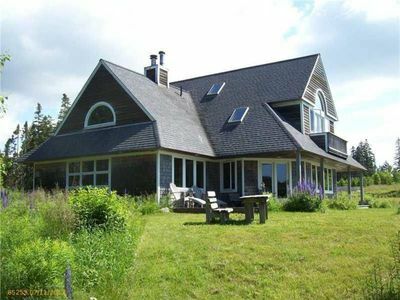 If you're in the mood for a peaceful Maine getaway, this quiet East Machias cabin is exactly what you've been dreaming of. Every amenity you could hope for is here; warm your feet with the radiant floor heat, don't stress winter weather with a full plow service, and treat yourself with the saltwater hot tub! Offering 3-bedrooms, 2 baths and accommodations for 8, this unit provides everything for an unforgettable Northeast retreat! 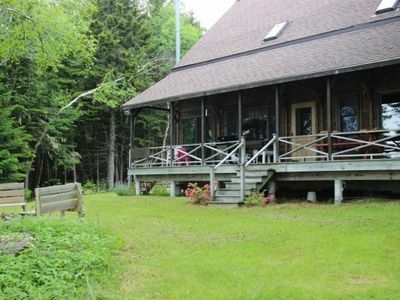 Find your Maine oasis when you book this beautiful East Machias cabin. Conveniently located a mile from Gardner's Lake, this picturesque vacation rental cabin boasts 14 acres of private land, speckled with stately birch and pine trees throughout. 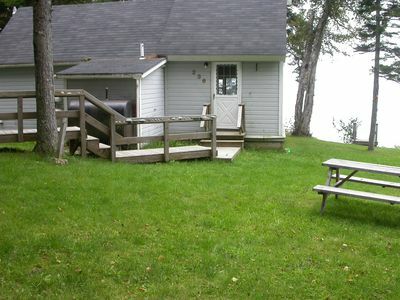 With enough room to comfortably accommodate up to 8 guests, this unit is the perfect size for a family or group of friends out for a memorable East Machias escape. You'll find this property well decorated with high-end furnishings and tasteful accents to make you feel as comfortable and relaxed as possible during your stay. Additionally, you'll discover all the necessary amenities of home during your stay here, including wireless internet access, in-unit laundry machines, and a fully equipped kitchen. Early risers will look forward to sipping their morning coffee at the oversized kitchen island before sitting down to enjoy a hearty breakfast with your loved ones prepared in the fully equipped kitchen. 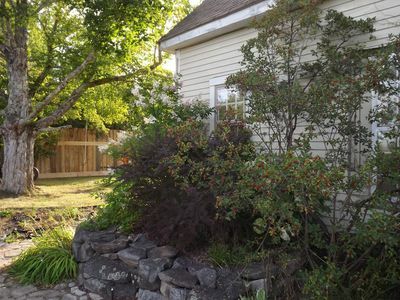 Your favorite place to hang out will quickly become the marvelous outdoor space, where you can unwind and soak up the beautiful East Machias weather. After a long day of exploring, fire up the 6 burner built-in barbecue grill for a tasty dinner al fresco before sharing a delightful evening roasting marshmallows in the outdoor fire pit and soaking in the 6 person saltwater hot tub. You certainly won't have to venture far to discover the best area attractions and recreation! From here, you'll be less than a mile from Gardner's Lake where you can spend countless hours swimming, kayaking, and boating in the refreshing waters. 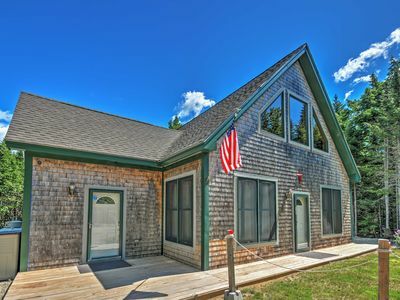 Truly an outdoor lover's paradise, this bright cabin offers easy access to a plethora of enthralling recreation at Jasper Beach, Roque Bluffs, and Downeast Sunrise Trail. When in season, the area also offers tremendous hunting and fishing opportunities for travelers. 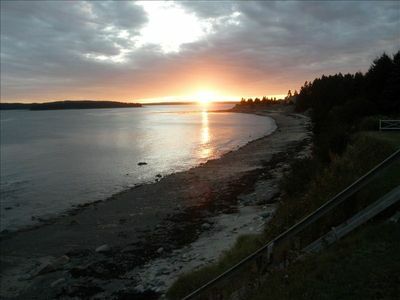 Spend an afternoon exploring the many lighthouses which abound on the downeast coast of Maine, speckled along the dramatic beaches and ocean cliffs. Additionally, various guided sea tours are available in the area for you to soak up the majestic natural beauty of East Machias, including whale watching tours and dinner cruises. When you've worked up an appetite, pop by one of the well known local restaurants, such as Helen's Restaurant, Blue Bird Ranch Restaurant, Pat's Pizza or Skywalker's Bar and Grille for a quick bite to eat. For fresh lobster, the nearby Bucks Harbor offers one of the only premier lobster pounds in the area. 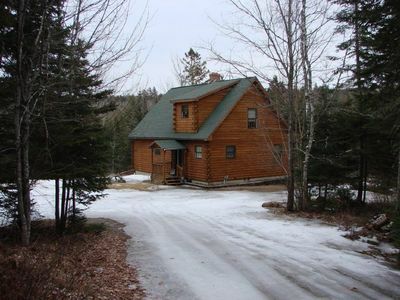 Regardless of how you choose to spend your time here, this stunning East Machias cabin will be the perfect setting for your next unforgettable Maine escape! - Amenities include a fully equipped kitchen, state of the art wireless internet (Time Warner Ultimate), 60 inch flat-screen Smart TV, 6 person saltwater spa, fire pit, built-in 6 burner BBQ grill, 2 kayaks, 3 bicycles and much more. - Unbeatable East Machias location 1 mile from Gardner's Lake - Easy access to fishing, swimming, biking, hiking, hunting and more! - Access to the spa comes with an additional fee at $10/night (hot tub not available Jan 24, 2017 to April 29, 2017 due to weather conditions because the emergency generator does not support the hot tub).